Nouns, verbs, adjectives, adverbs… When it comes to learning about the parts of speech, it can get pretty boring. Worksheets and drills aren’t the only answer. 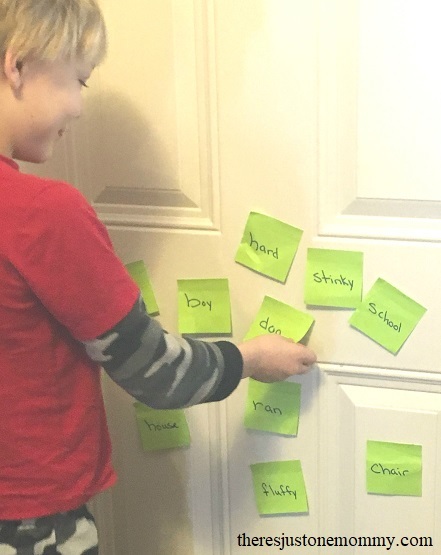 This simple Parts of Speech Game with sticky notes makes a rather dry subject fun. 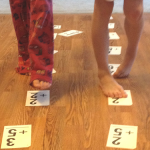 Plus, you can turn this activity for kinestheic learners into a fun sentence building activity. 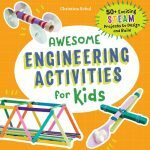 It is very easy to modify this game to fit the needs of your students. For early learners you can choose to use just nouns and verbs. 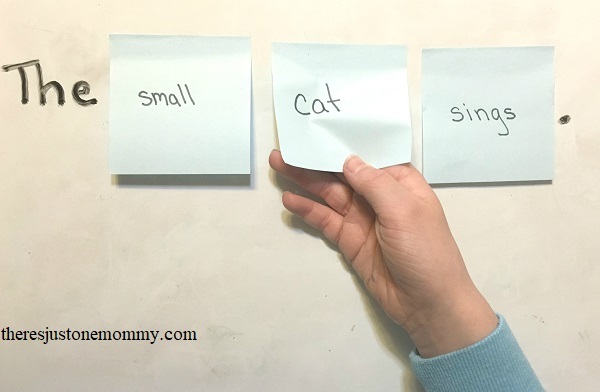 To make it even easier for them to identify the different parts of speech, you could use a different color sticky note for each part of speech. For example, write all the nouns on blue sticky notes and all the verbs on yellow sticky notes. For older students you can add in other parts of speech, like adjectives and adverbs. We are working on identifying nouns, verbs, and adjectives. To make it more of a challenge I wrote all the words on the same color sticky notes. To set up the parts of speech game, use a black permanent marker to write a variety of nouns, verbs, and any other parts of speech you are working on, on the sticky notes. 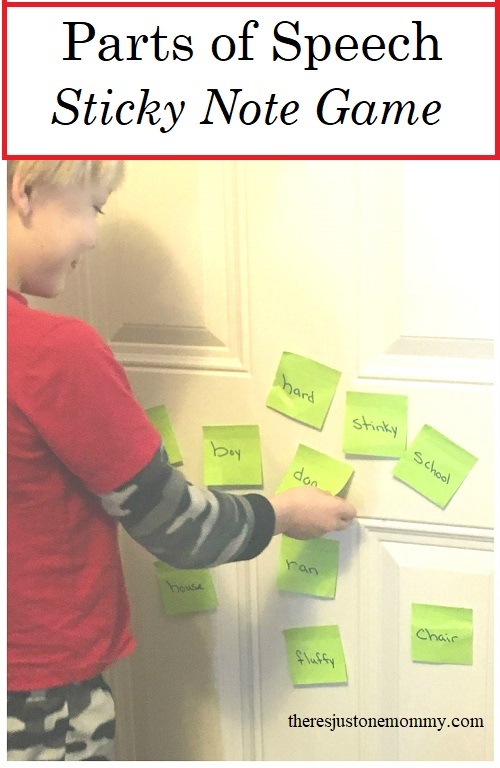 Then stick all the Post-It Notes on a wall, door, or in a classroom you could even stick them on the white board. 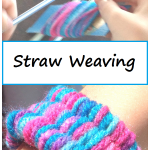 There are several ways you can use this Post-It note activity. If you homeschool you can ask your child to bring you a word that is a noun, verb, etc. If you have more than one child, turn it into a race. Who can find a noun first? In a classroom setting you could put the kids into teams and call out a part of speech, having the first person in each group go find a word that fits that description. The next person in each team would get the next part of speech you call out. 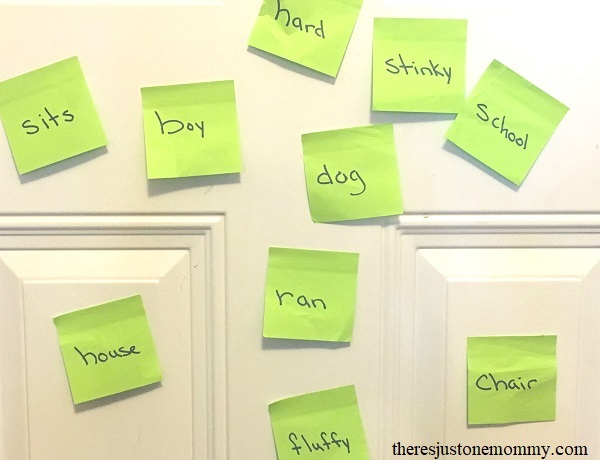 Extend the activity and have your child use the Post-It Notes to create a silly sentence. They can use a small white board to write missing words. It becomes a fun sentence building activity, allowing them to also work on correct end punctuation and capitalization. 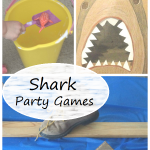 This parts of speech game is a fun hands-on learning activity for kinesthetic learners. I did something similar with high school students (I know, eye-rolls, but it worked while they weren’t looking! ): To differentiate between predicate nominatives and direct/indirect objectives, I made stickies with Subject/linking verb/active verb/pred. nom./D.O./I.O. and demonstrated the structure of both kinds of sentences. It helped them to see why we need nominative case pronouns in a PN and objective case pronouns in IO and DO’s. I love that you did something similar with older kids. I used to teach middle school and loved getting the kids up and moving when possible.